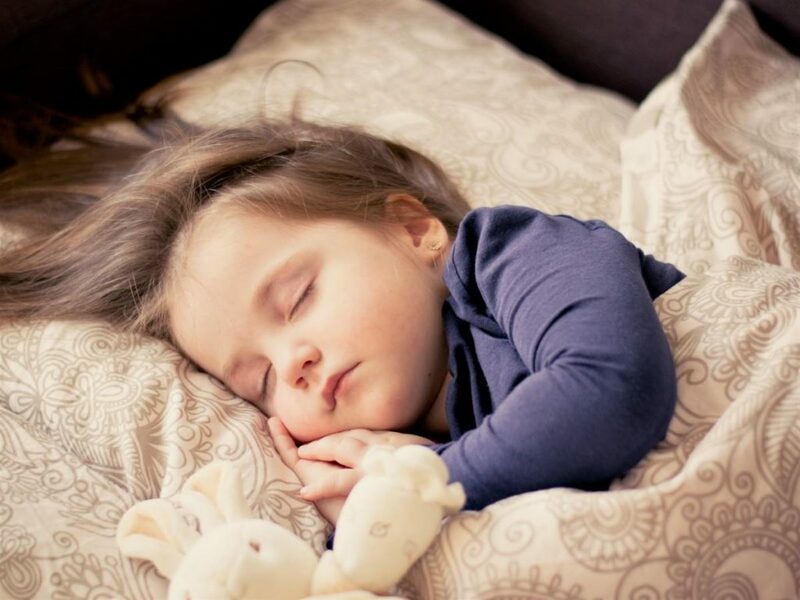 Bedwetting, which is known in medicine as ‘’Nocturnal Enuresis,” is a common problem that can be very troubling for both children and their families. The child bears the burden of shame and guilt and is unable to participate in activities such as sleepovers, camping, and trips. The parents suffer from the frustration of extra laundry, sleep disturbances, and confusion as to how to help their child. Some helpful suggestions often recommended are avoiding fluids before going to bed, using the bathroom before going to sleep, and waking the child up in the middle of the night to use the bathroom. Giving the child positive reinforcement for every night he or she remains dry is another good approach for coping with bedwetting. Using a bedwetting alarm that emits a sound when the child wets the bed is an effective behavioral approach. The problem with these approaches is that they all require long-term effort from both the child and their parents, with slow and gradual improvement over time. There are proposed pharmacological options for this condition as well. However, those medications have side effects, and most commonly they will start wetting their beds again as soon as they stop taking the medication. Therefore, natural methods have been proven to be the most effective solution for overcoming this common problem. Let’s explore an effective and natural way for permanently managing bedwetting through chiropractic intervention. Slightly misaligned spinal vertebrae could interfere with the normal flow of signals from the brain and spinal cord to the different organs, and vice versa. This interference can impair normal health and body functions. Chiropractic treatment focuses on locating those areas which require adjustment, manipulating and mobilizing the spine using specific techniques to adjust the spine, correcting and improving its alignment. It is one of the safest drug-free, surgery-free options, and there’s growing popularity for the use of such interventions for improving a variety of conditions. Chiropractic care is also effective at tackling problems such as bedwetting! In order to understand the role of those techniques, we must first explore the physiological mechanisms that might cause the child to wet the bed. In the absence of pathological disorders which can easily be spotted and diagnosed, normal bedwetting delays can be explained by two factors. The first factor is due to a hormone called the Arginine vasopressin. This hormone is responsible for decreasing the amount of urine the body forms. Typically, its levels increase at night causing our bodies to make less urine while we sleep, allowing us to have a good night’s rest without the need for constant trips to the bathroom. A delay in the development of the normal rhythm of this hormone can lead to urine forming while sleeping at the same rate as during the day, overwhelming the bladder, and causing bedwetting. The nerves responsible for bladder control and normal bladder function are located in the lumber and sacral (or ‘’tailbone”) segments of the spinal cord. The sacrum consists of five segments which are fused in the adult but are still separate and mobile in early childhood. Since those segments are still mobile in young children, they are subjected to repeated minor trauma like falls and early attempts of the child to walk. These traumas could lead to the development of slight misalignments of those vertebrae, interfering with the nerve signals responsible for bladder control, causing bedwetting. (Keep in mind these changes in the alignment are very slight and aren’t significant enough to cause any permanent damage or symptoms that might alert to their presence, not even back pain.) This is the mechanism that can be corrected by a chiropractor. Chiropractic adjustments focus on those segments of the vertebrae that affect the bladder, in order to relieve the misalignment of the vertebrae which are impeding the proper communication between the brain and bladder, improving the bladder control in the child. It also improves the signals responsible for awareness of bladder distension, alerting the child of bladder fullness. This approach has the potential of providing an immediate and permanent solution for children who suffer from bedwetting. It has an even higher proven success rate for children with ‘’Primary Nocturnal Enuresis,” meaning that previously, over a six-month period they’ve never had any amount of time without bedwetting. Chiropractic care is a healthy and safe remedy for bedwetting that allows a child to enjoy normal childhood activities, such as sleepovers without embarrassment or stress.